Let’s turn away from monuments and hill stations to the direction leading to the secluded islands and serene beaches. When the mind craves for seclusion and serenity, it can think of only the Andaman and Nicobar Islands. The Andaman Islands and beaches are among the most wonderful holiday destinations with idyllic setting, rich wildlife, white sands, crystal-blue water and eco-friendly atmosphere. An escape to the Andaman for shareable travel experience and inexplicable tryst with nature is worth a flight to India. Let’s see whose travel tastes are best catered to by the Andaman. A trip to the Andaman is must for those in quest of serenity, beauty, romance and bliss far from the buzz of city life. If you are among them, you must fly to the Andaman beaches which are away from civilization but close to nature. You will feel overwhelmed in the solitude of Radhanagar Beach, Cove Beach, Vijayanagar Beach, and Elephant Beach where waves are in love with sands, the sun hangs out on the horizon twice a day, the mind feels meditative, the heart listens to itself, peace is eloquent, sea speaks to the sky, and where sunbath is a pleasure. The Andaman beaches which are accessible to visitors are known for their tranquilizing effect on the outer being and inner self of visitors. A flight to the Andaman Islands is the right spending by those in love with nature and wildlife photography. Every nook and corner of this part of earth is blessed with wildlife. Barren Island, one of the uninhabited Andaman Islands, is home to rich flora and fauna. Rare species of animals and plants are found here. Barren Island also houses an active volcano which is the only one in South Asia. 135 km away from Port Blair, the volcano is an ideal landscape for nature photography. Baratang Island is another island whose wilderness woos photographers. Dense tropical forests and white sandy beaches are the attractions of the island. You must photograph the limestone caves on Baratang Island to bask in the pleasure of photography. 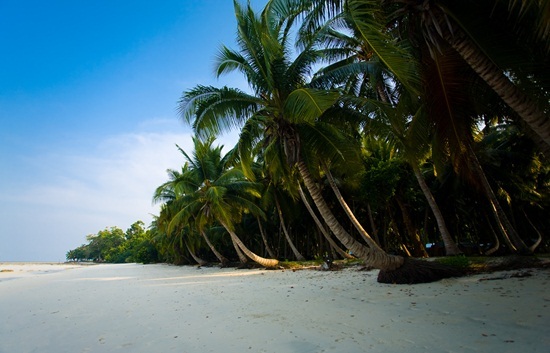 A tour of the Andaman Islands is highly recommended to those in quest of adrenalin rush. The Andaman beaches are as adventuresome as they are peaceful. Some of the islands have sporty beaches where you can’t help springing into adventure. 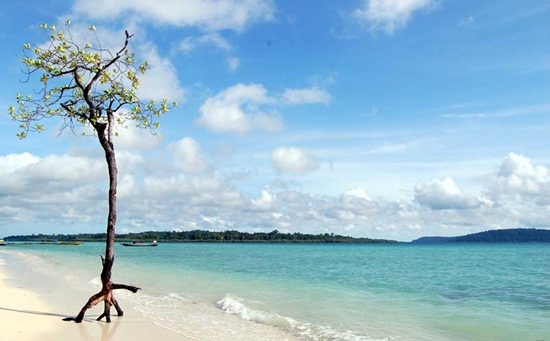 The Havelock Island is a hub of adventure sports including kayaking, trekking, snorkeling, scuba diving and sailing. If swimming makes you feel alive and kicking, Vijaynagar Beach with calm, crystal clear water is the call for you. If strolling on the sand thrills you, it is not less exciting than adventure itself. Island camping is another sort of adventure that you must try out during the Andaman travel. Travel to the Andaman Islands is a must for those in search of the trail to the stories of British oppression during the National Freedom Movement. The Cellular Jail is a living evidence of the confinement of the Indian freedom fighters in the dark and the atrocity meted out to them. Some of the patriots directly or indirectly associated with the Sepoy Mutiny of 1857 were exiled to suffer solitary confinement in the Cellular Jail which is notorious as Kaala Pani. Among the political prisoners who were sentenced to the Cellular Jail were such eminent freedom fighters as Veer Savarkar, Batukeshwar Dutt, Shiv Verma, Mahavir Singh, Ambika Chakraborty, Genesh Ghosh, and Fakir Sen who were associated with the Chittagong Revolt, the Assembly Bomb Case, the Lahore Conspiracy Case, the Alipore Conspiracy Case and the Wahabi Movement. 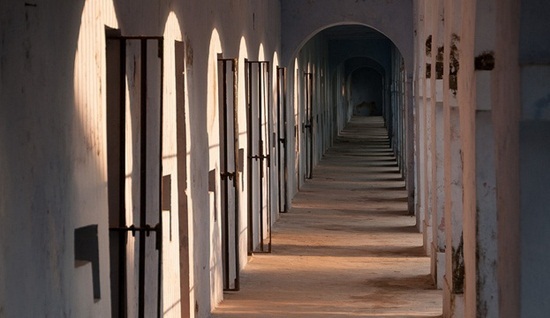 The Government of India declared the Cellular Jail as a national memorial in 1969. A light and sound show is organized on the premises to introduce the visitors to the sufferings of the prisoners. Port Blair is the gateway to the Andaman & Nicobar Islands, which is a short flight from Chennai International Airport. IndianEagle.com offers international flight tickets to Chennai, India, at the best prices.